Just-right for young learners! These engaging hands-on activities introduce and reinforce concepts about geometric shapes, patterns, symmetry, spatial relationships, and more. 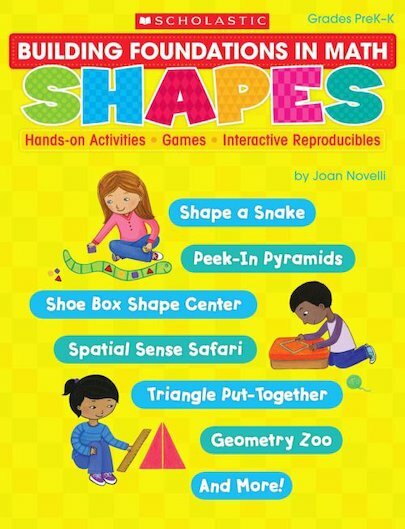 Features reproducible games, movement activities, and literature links to help children learn and understand key concepts, build math vocabulary, problem solve, and connect shapes to their everyday world. Includes whole-class, small group, and learning centre activities.